FARWELL — It certainly wasn’t the start to the 2018 season that the Lady Bucks wanted yesterday, especially when Galeton’s Reagan Fuller strolled into Farwell and threw a no hitter against a frustrated, young Bucktail team. With hopes of a league title and a return trip to the postseason, the Lady Tigers stunned the home team who struggled on both sides of the ball. “We have to hit the ball better. 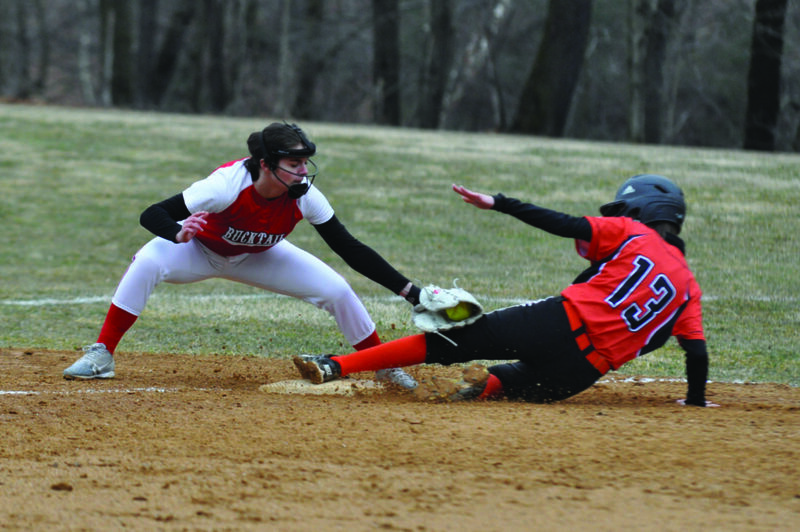 Everything today centered around us at the plate not being selective of pitches, and swinging at the bad pitches while watching the good ones go by,” said Bucktail coach Mike Poorman following the 8-0 loss. “You’re never going to win without getting a hit and it just went downhill from our performances at the plate”. Fuller led the game off with a double at the plate and scored two batters later on an error. Galeton went up 2-0 after the top of the first and Bucktail’s labor at the plate was about to define the game. Fuller put together a perfect game until Makenzie Brennan worked a two-out walk in the bottom of the 6th inning. Brennan would prove to be the only base runner for the Lady Bucks. With Fuller cruising from the mound, Galeton added runs throughout the game making the pitching performance seem even more dominant. Hunter Shadie particularly hurt the Bucks — scoring all four times that she took to the plate, including reaching twice due to Bucktail errors and one opposite field home run when the lefty slugger took a Myka Poorman offering over the fence in left-center. The sophomore Poorman was charged with four earned runs allowing seven hits and two walks while striking out eight. Two of Poorman’s four earned runs were aided by throwing miscues as Bucktail’s defense looks to find their way and features several players at different positions. Fuller completed the no-hitter as the Galeton defense had no errors behind her. The senior picked up 10 strike outs with the lone walk — her only blemish of the game. “Defensively, we weren’t sharp but some of their hits were just placed perfectly, two balls dropped into holes and rolled to the fence, our outfield was a little slow tonight and with the balls hit where they were, it just hurt us,” the coach said. The schedule proves kind to the Lady Bucks as they do not play again until traveling to Benton next week. Poorman says that getting his speedy team on the bases will be key to turning things around. “We’re too fast not to reach the bases. If we get on, we can put pressure on the opposing pitcher, we’ll work on it and hopefully things fall into place from there,” he said of the season’s game plan.